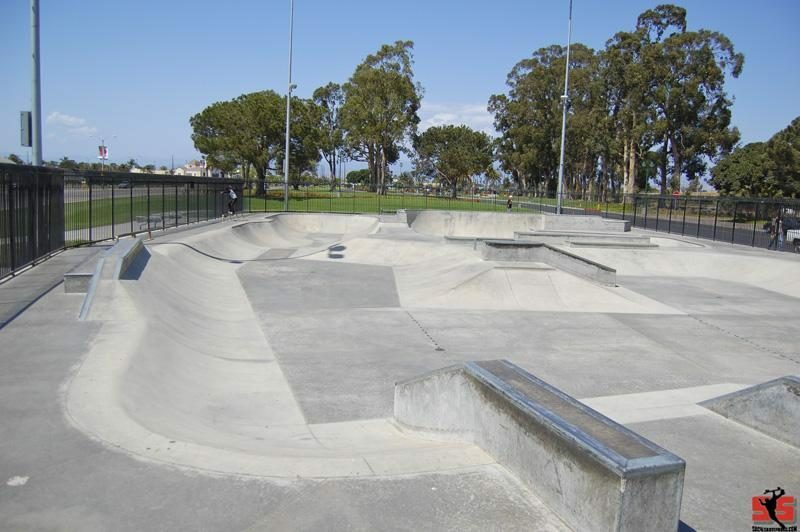 The Oxnard skatepark is a mid-sized skatepark that has a good mix of street and transition terrain. The cement pour is smooth and fast with only a few kinks with metal coping all around. 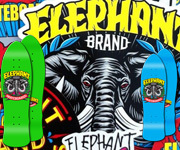 The entrance and the center of the skatepark features a street course with several hubba ledges,pyramids.grinding blocks,flatrails and quterpipes. The beginner run that is about 3' deep with hips and a bowl at the end of the run goes to about 4'. Rounding the back section of the skatepark is a combination bowl that on one side is around 8' deep with a 10' extension that flows out to another 6' bowl.